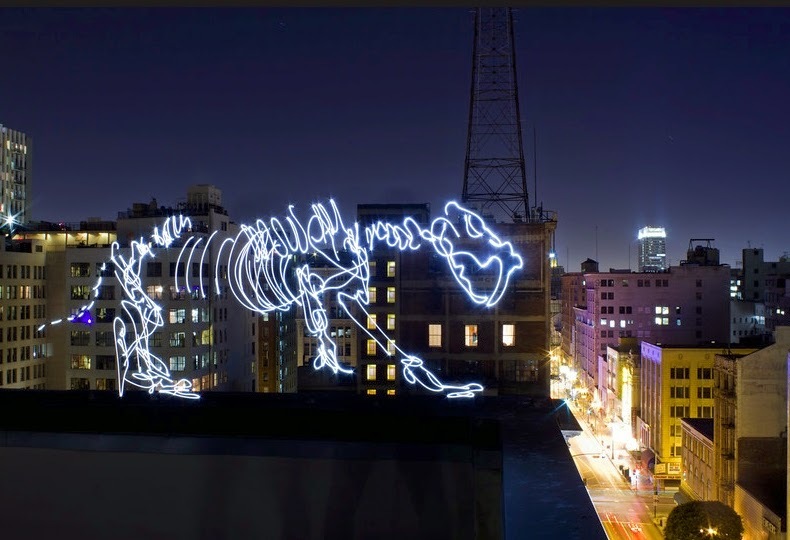 Darren Pearson lives and works in Los Angeles where he works as a Creative Director. 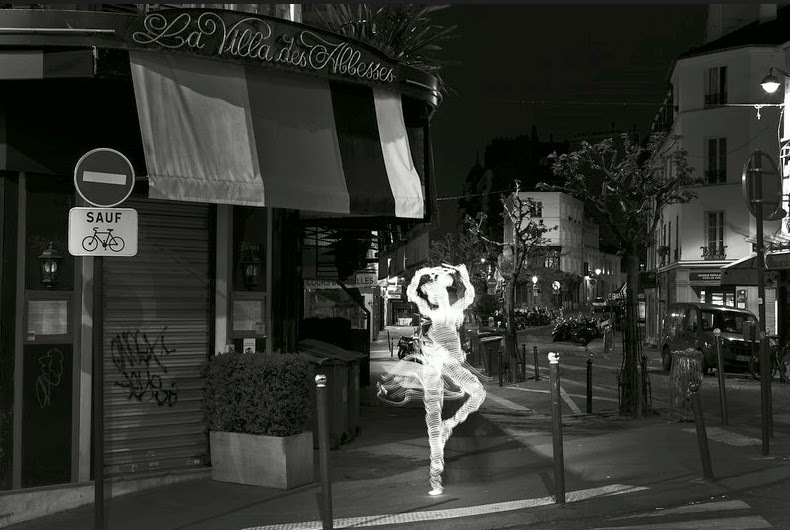 The nights though, are a different story, they belong to him. 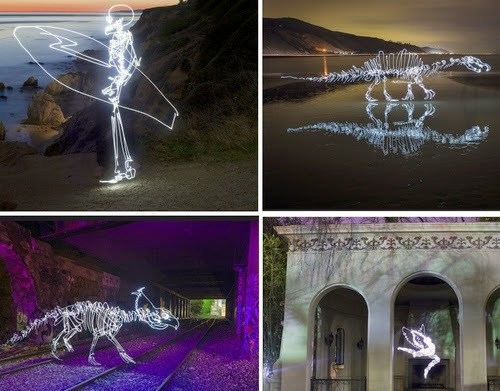 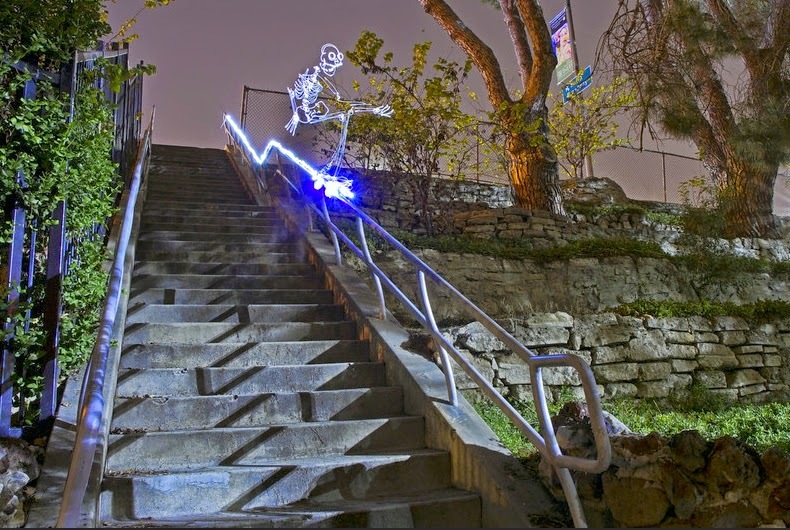 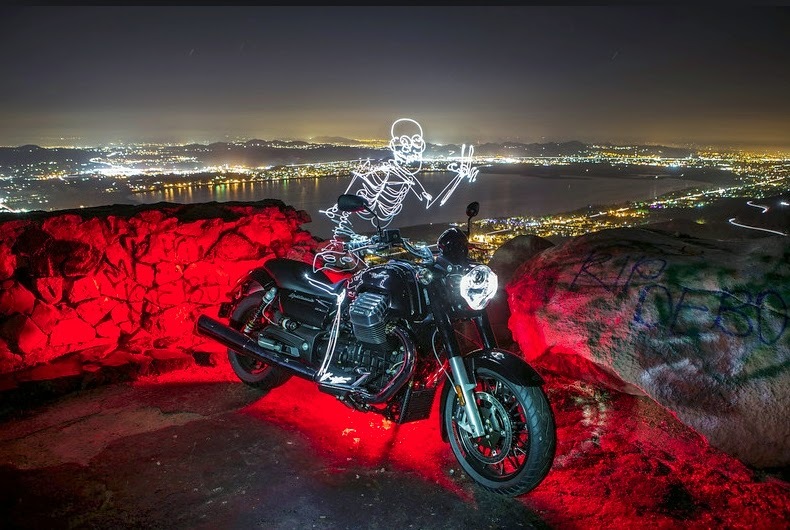 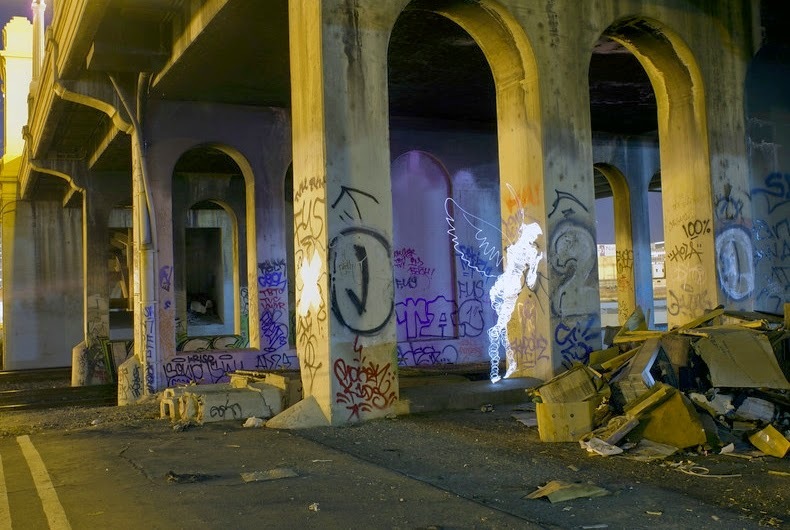 He enjoys creating different Light Sculptures or Paintings, in different parts of the City. 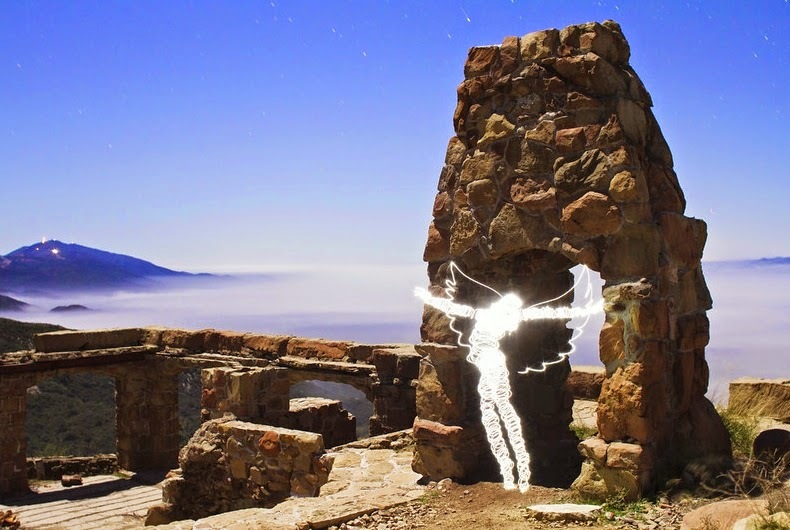 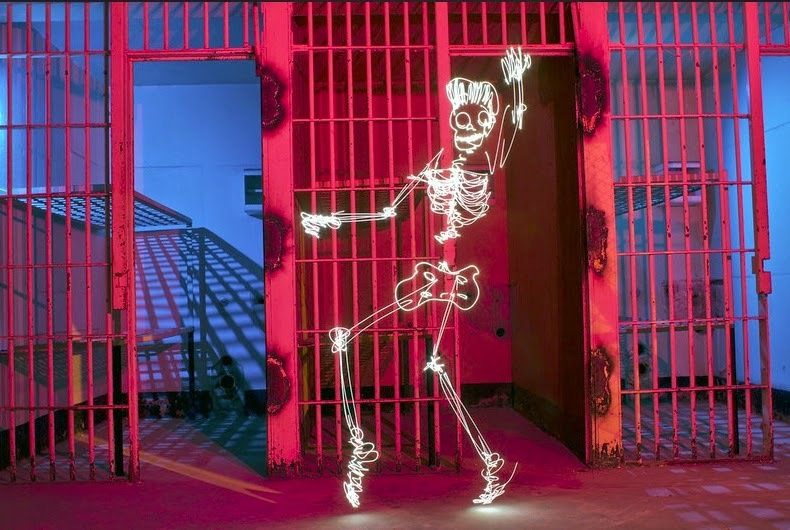 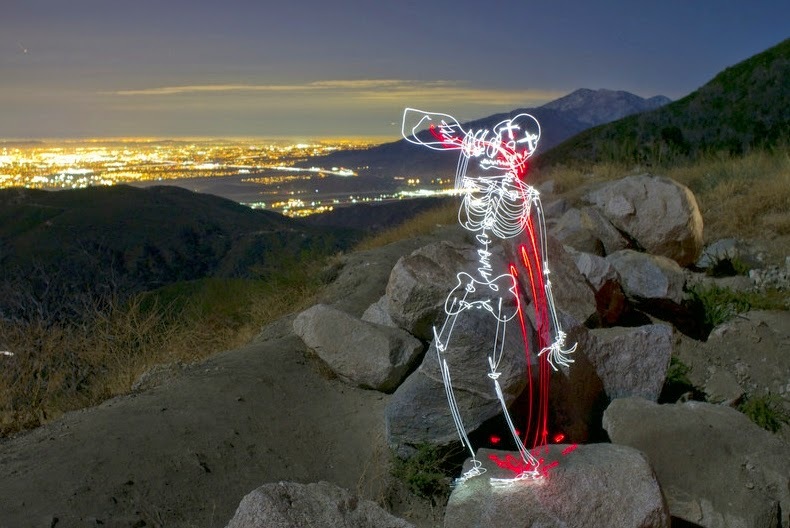 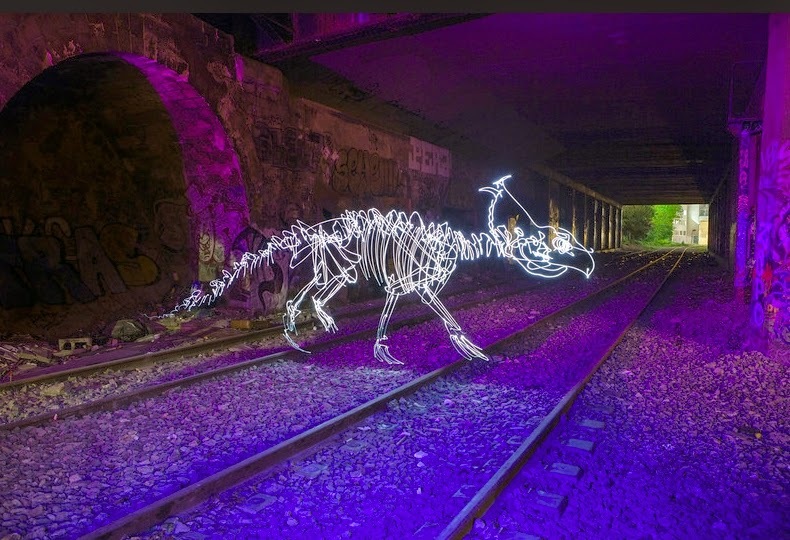 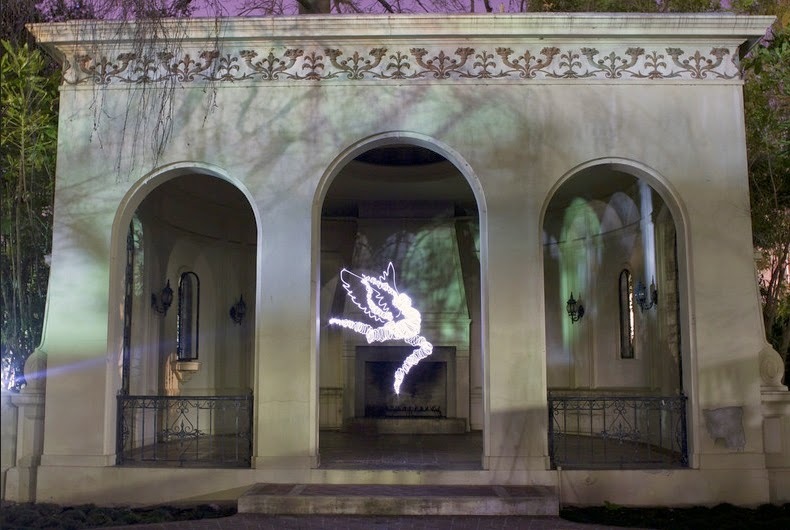 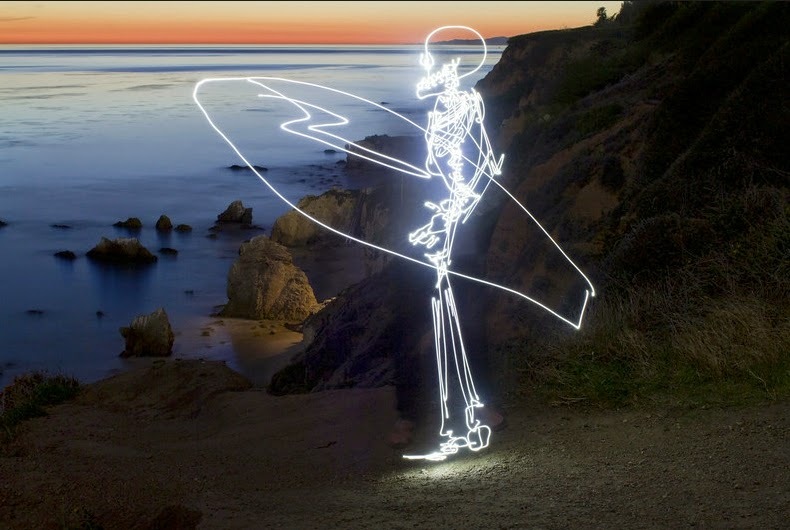 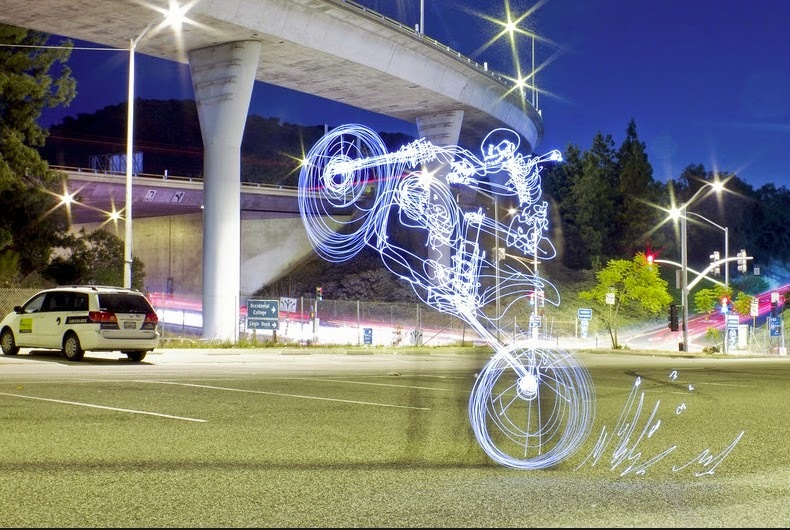 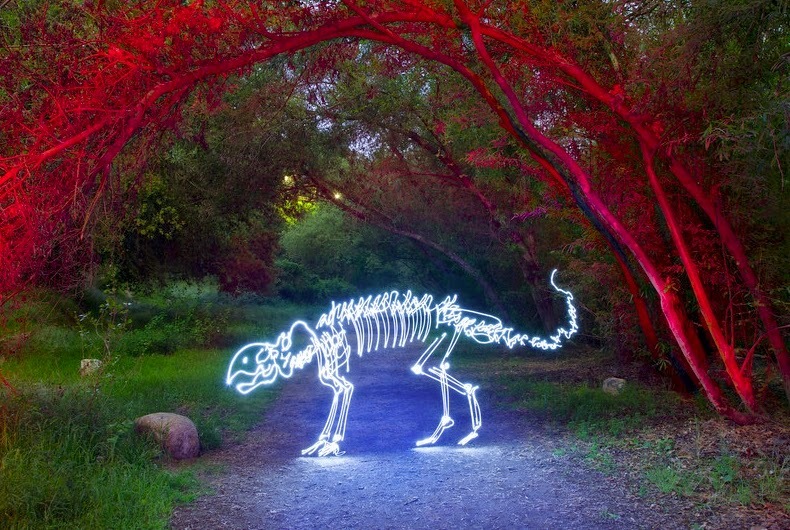 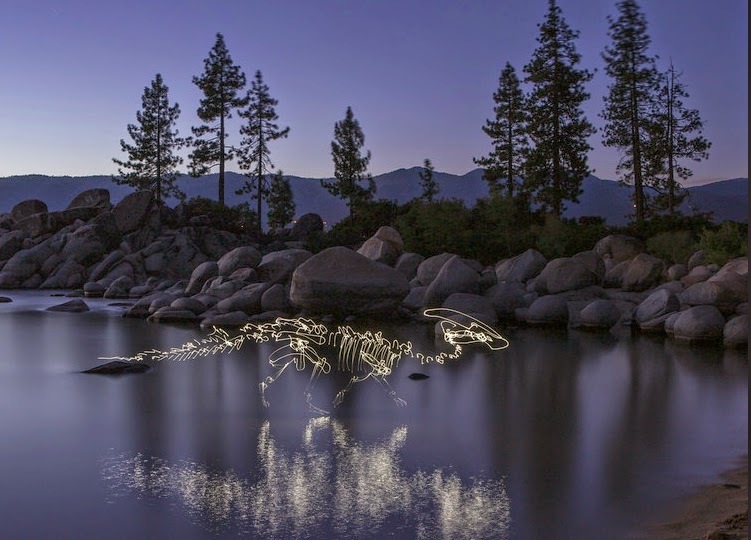 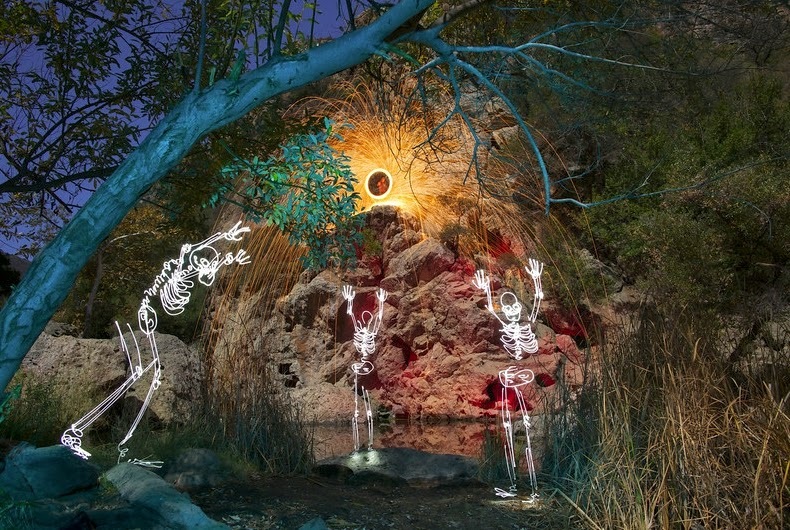 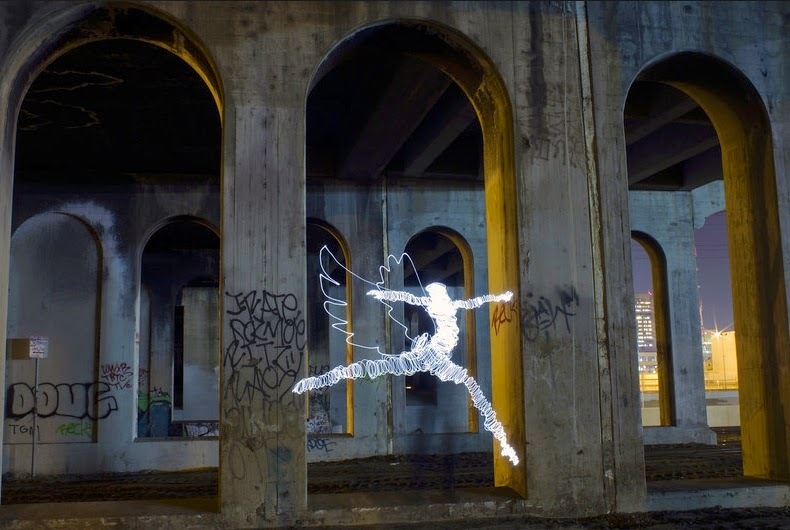 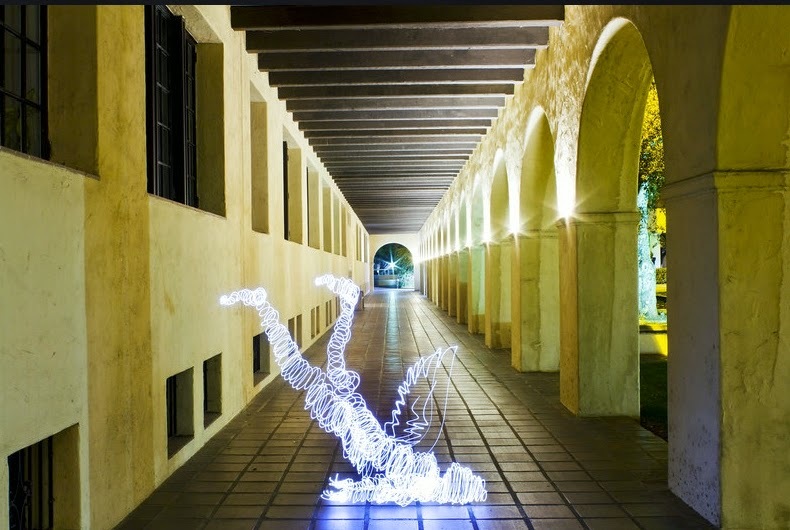 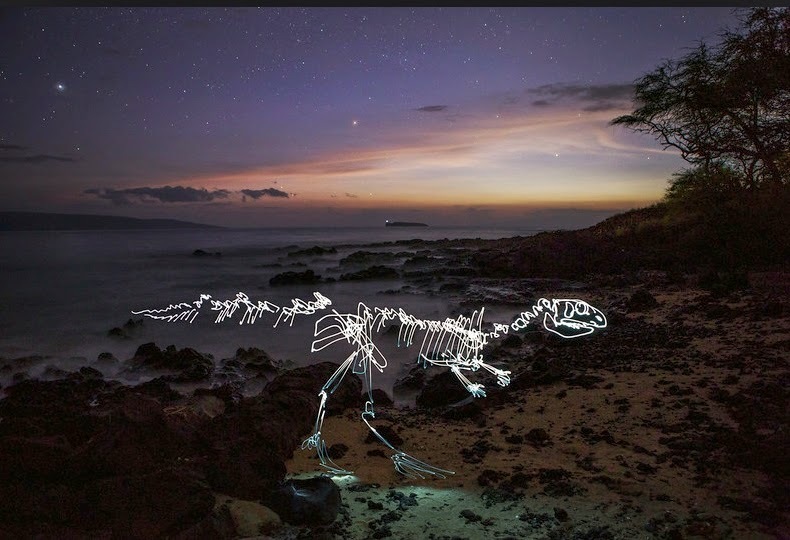 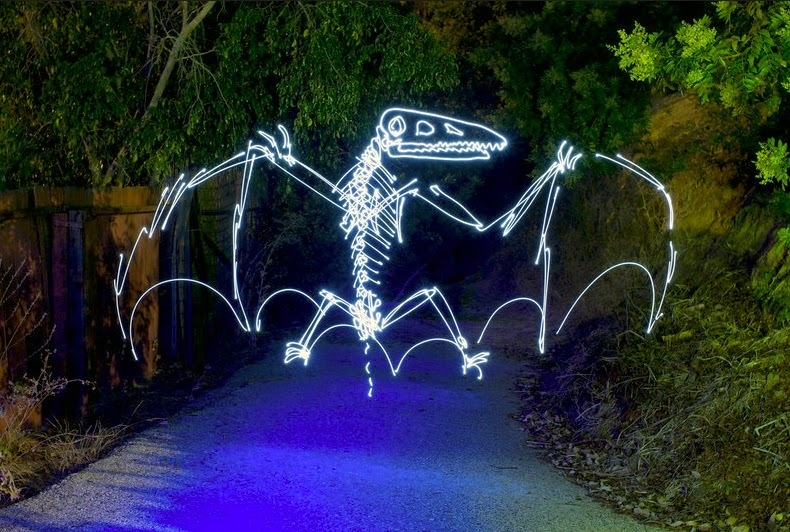 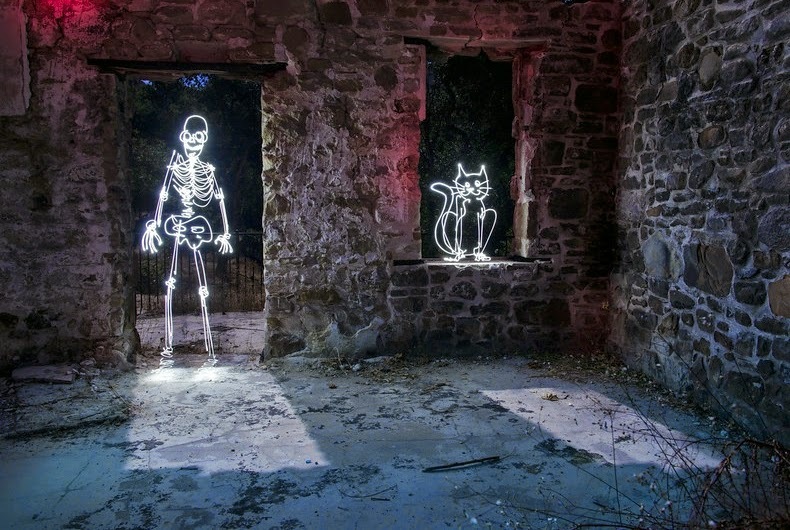 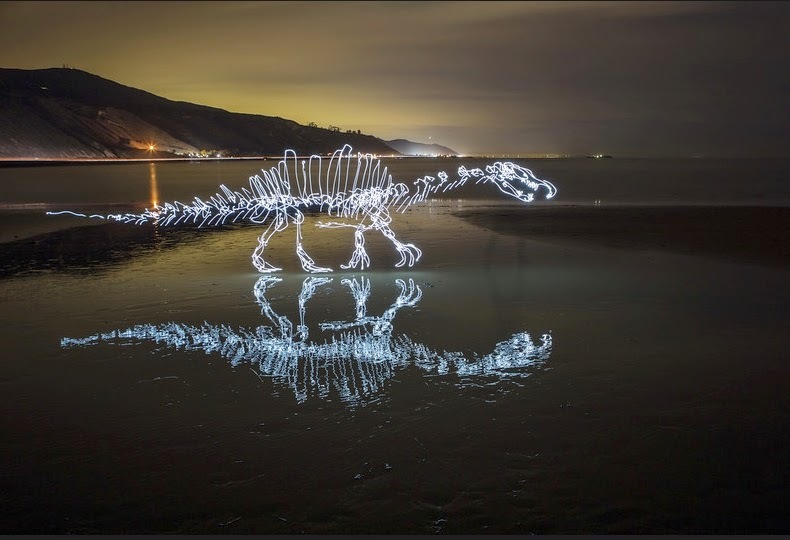 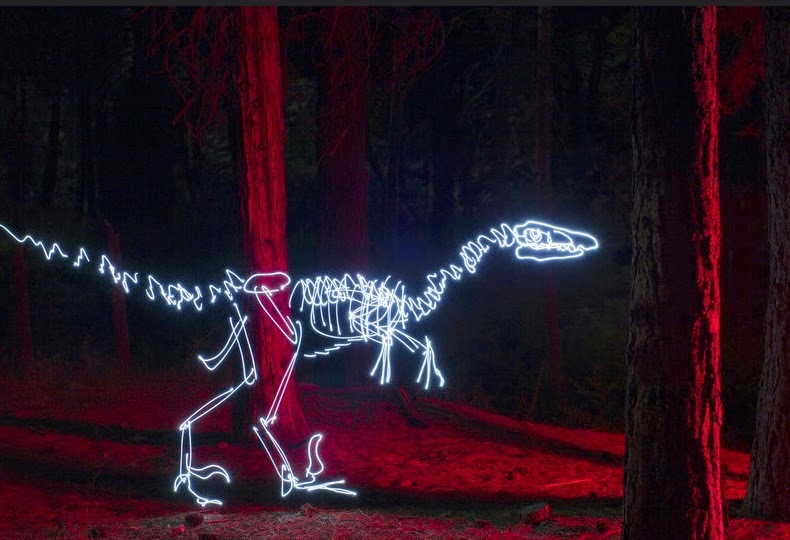 This Light Art is achieved by taking long exposure camera shots of moving light, creating an image. 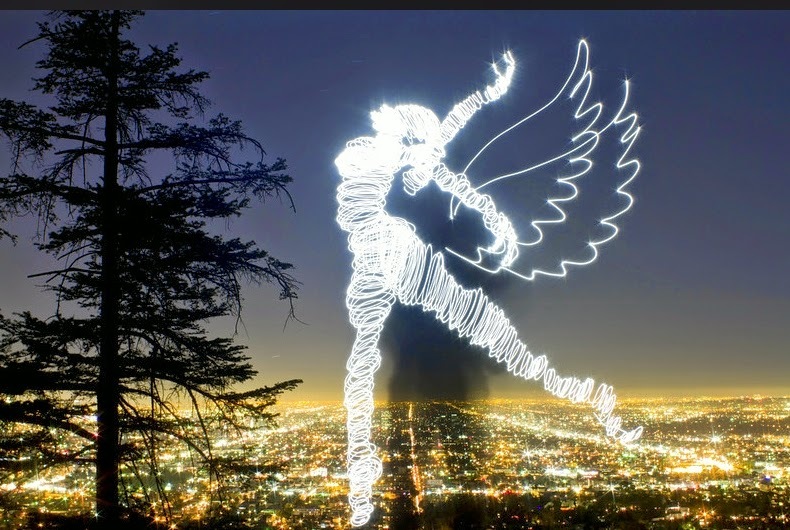 None of his works are achieved by using Photoshop. 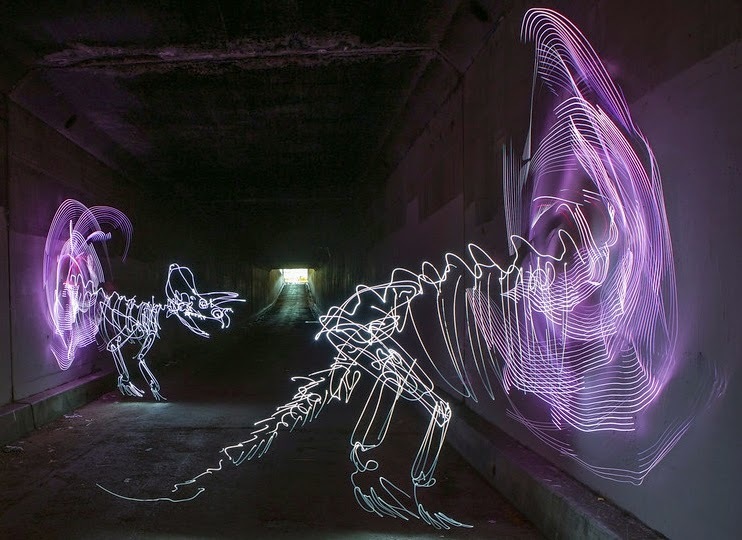 We have included a moving painting in the form of a video, it can take up to a 1000 paintings to complete one of these videos. 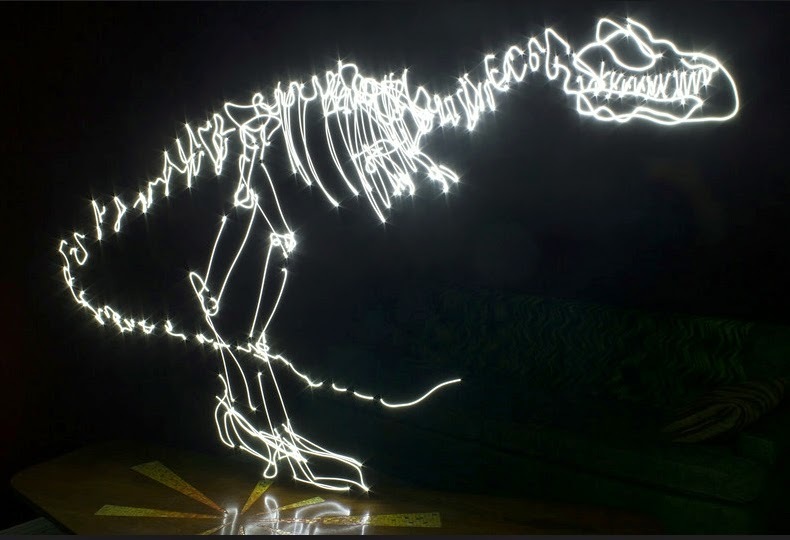 T Rex - get off my Coffee Table. 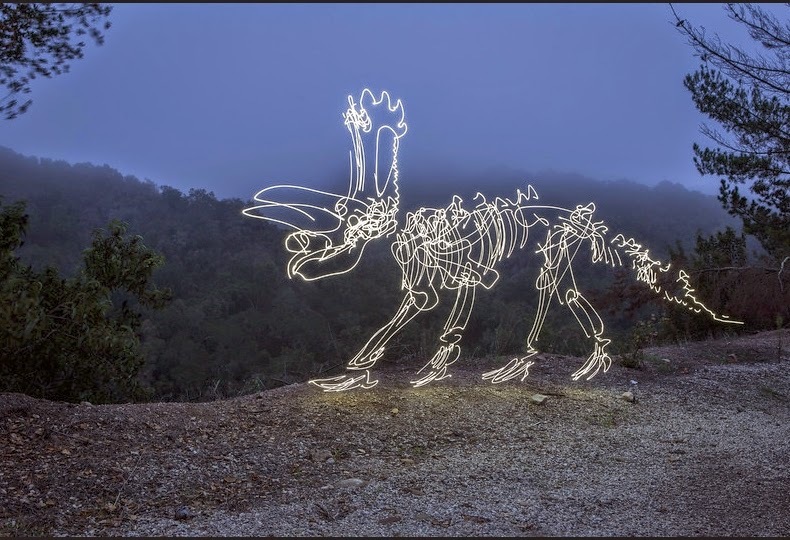 Pentaceratops rolls up as the Fog Rolls in.